Fathers Day is creeping around the corner, and one can often find themselves thinking what should we do to celebrate or what present should I buy? But I believe that though the materialistic aspects are nice, they detract from what the purpose and the intent of the day really is - remembering and cherishing your loved one. With materialistic items so easy to reach nowadays, I feel the thoughtfulness behind the gift vanishes. Of course, yes it's lovely to receive something but if it wasn't given with love and care, is it as special? For me, time is something that is very underrated. Spending quality time with a loved one and giving them your undivided attention says more about how you care for them (something we're very proud of in our tearooms), than a generic gift that they may never use. Fathers Day should be a day where you take the time to remember and cherish all of the things about your loved one, not only who can buy the best present. With everything going on in day-to-day life it's very easy to forget about the people closest to you and what they bring to your life. Take this day and every other day to treat them, make them feel special and just be with them. 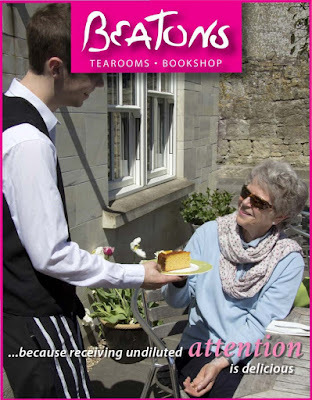 The gift of time creates memories, it creates a bond between people and whether you are spending it at home watching the telly, playing a game or even visiting one of our tearooms, the memories created will leave a far stronger mark in your loved one's mind, than anything else.